With the summer drawing closer, you might want to have some fun with your kids. Why not give them something to do that promotes simple living and good values? It is possible...I promise. As parents with young children, you know you can't exactly just give them a book on minimalism and expect them to be on board. You have to make it relevant to your children and bring it down to their level of understanding. This is why I offer you five books with a little bonus at the end. You never know. You might like these books so much yourself you might just find yourself inspired! For those of you with young children about 3-8 years old, I offer you one of my favorite childhood books. 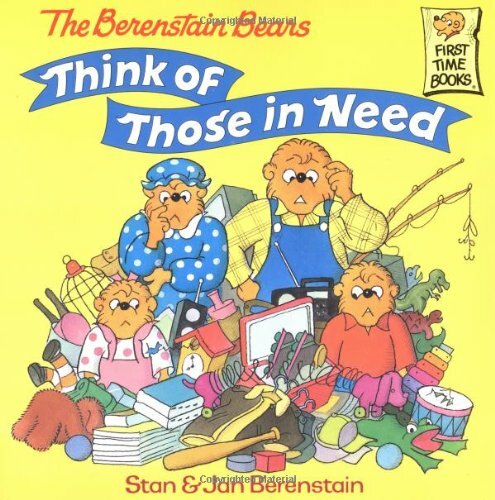 It is the Berenstain Bears Think of Those in Need by Stan and Jan Berenstain. This book goes through the story of decluttering and promotes simple living in a way that doesn't give it a name but is more suggesting that this is a normal process that all families do, (which I believe is true, just to different extents). It may not say the word minimalism but it is about being responsible owners, and how stuff can weigh us down. Bonus: It also demonstrates the joys of giving! I think one page that we can all relate to is this page here. "One day Mama had a nightmare about all the things that they had in the house." This is the perfect explanation for kids as to why we would want to start this journey. We want peace not nightmares, anxiety, and worry. I assume you also want more time with the kids which could be another reason why you are on this journey. Instead of being a slave to your things, you could be creating memories with your children, and I think that is something that they will easily understand. This book also gives the kids a voice or a way to work through this transition by demonstrating a conversation about some of the thoughts and feelings the kids are going through in this big change. Here is another great example of how many kids feel when the adults decide to take the plunge into simple living. Don't worry. I promise the book has a great ending. Spoiler alert: Here is one of the final sentences at the end of the book that wraps everything up very well. The bears are driving home after giving all their things away and "the Bear family were so filled with special thoughts about helping others...". However, the last sentence does read: "They hardly noticed the wonderful things in the windows...except maybe out of the corners of their eyes". I believe this is the one weakness of the book but it is a good place to open up a conversation about what would happen if they all gave into the urge of buying many things again. The Bear family would all be back at where they started! Having this talk about learning to live with less, enjoy what we have, and understanding the temptation to repurchase is very important. Acknowledge that there isn't anything wrong with wanting things. However, there is something to be said about resisting the urge to buy things without slowing down to think about what you are giving up when you bring it into your home (i.e. time to take care of it, the money to purchase it, the time it took to make that money to purchase it). I guess I was just a minimalist from a very young age because this is another one of my favorite childhood books. It was the first book that I ever read (I was a late bloomer). In first grade I read Little House in the Big Woods by Laura Ingalls Wilder. I am sure that many of you have heard of it or even read it yourselves but what always struck me was how this little girl, Laura, and her family could be so happy with only owning three toys. She lived a very exciting and vibrant life with her family being the focus. Not her TV, or books, or cell phone (since obviously none of these things existed in the 1870's). Ma was the most beautiful woman in all the land and that was not because she spent all her time and money on makeup and clothes. No, Ma had about six different dresses and two aprons. This story was written from her child's point of view which is also a good lesson to all the mothers out there. Be good to your children, spend time with them, and make memories because they see how hard you work, and they think you are the most beautiful woman in the world. 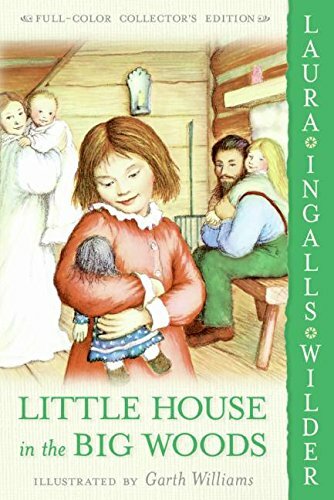 I did enjoy the rest of the Little House on the Prairie series but as Laura grows up the topics naturally get more mature. There are nine books in all but Little House in the Big Woods was by far my favorite of the series. 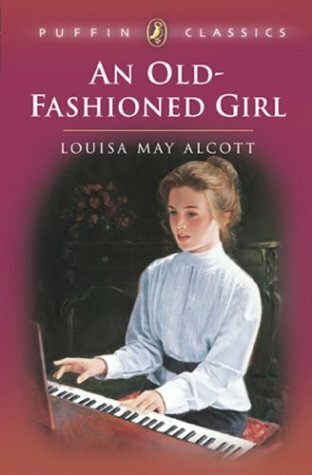 An Old Fashioned Girl by Louisa May Alcott is a great book as well for a bit older middle schooler. It compares two young girls who grow up together, Fanny and Polly. Fanny grew up rich and spoiled while Polly grew up simply, valuing people and experiences over things. Polly grows up being much happier than Fanny until Fanny learns Polly's ways and finds happiness as well. It also discusses the family dynamic, and how hard Fanny's dad must work and how little they get to see him as a result of him trying to provide for their lifestyle. There is a surprise at the end when the family that was once rich loses everything. We see how hard it is for everyone in Fanny's family but Fanny to transition because she had been learning from Polly about how to live a happy life as they were growing up together. 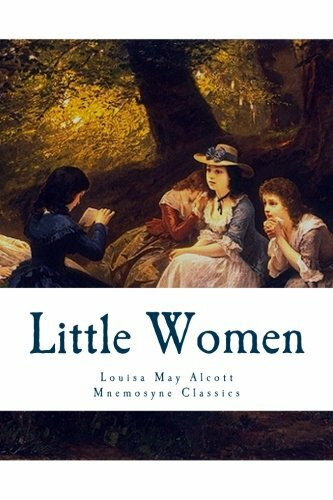 A book for older girls that is of a similar philosophy is Little Women also by Louisa May Allcot. The girls didn't focus on the material possessions of the world. Their parents raised them to be strong educated women. It does discuss the desire for riches so they could have what they want but that is quickly shot down because they would much rather have a strong family than a family that worries about keeping up with the Joneses. I also recommend the movie! The last book that I can suggest talks directly about minimalism. 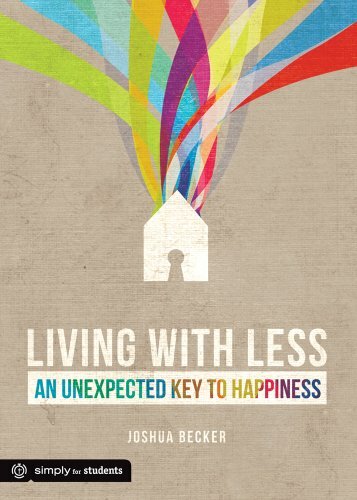 It is Joshua Beckers book Living with Less: an unexpected key to happiness. A review of all Joshua Becker's writing is soon to come so keep an eye out for that. This is a book for students probably 5th grade and above. It is written very simply so that everyone can understand Joshua's thesis of promoting the things that you love. It also takes a Christian view on the subject and talks about his own path to minimalism. If you are trying to instill some good values in your kids there are some good TV series that actually have some healthy content. Let me just mention my top three as I will write a longer post about this in the near feature. For those of you with very young children, Disney Junior just came out with a great new princess named, Sofia. 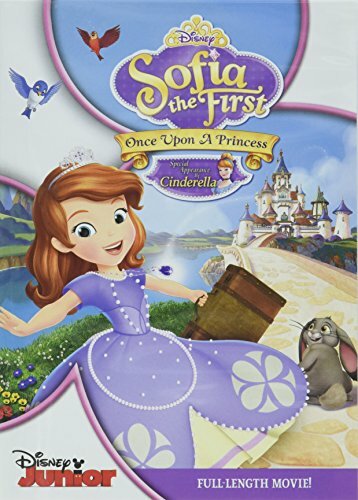 It is about the journey of Sofia the First who is learning how to be a princess. The main storyline is about two families becoming one, and Sofia finding her place in both the family, her friend circle, and the world. It showcases the themes of true friendship, adventure, and values. You can watch it on TV if you get the Disney Junior channel, on demand with xfinity, and it is currently on Netflix. As mentioned before I love Little House on the Prairie and I just discovered the series. The younger years are very interesting but you must remember that life back then was very difficult so there are some deaths. It also brings up hot topics of the time such as the relationships with the Indians of the land, women's right to vote, and the traditional place of men and women in their married roles, just to name a few. Please read the description of the episodes before putting them on. As with the books, as you progress into the series the topics become more adult, so be vigilant. However, overall they tell the great story of a family that always tries to do the right thing; who values and respects God, the family, and all human and animal life. 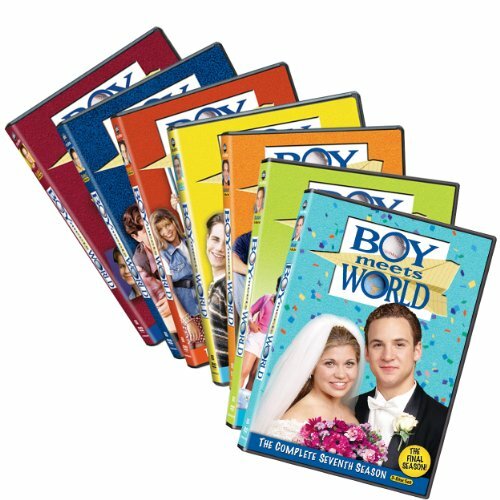 Boy Meets World is another one of my favorites. This series takes us along as the Matthews family grows up. It shows us a happy growing family and friend dynamic, and talks about real issues in the world via Cory's best friend, Shaun, who hasn't had the easiest life. I believe that there are a lot of good lessons in this series but as with any series where the main character grows up, the topics become more complex and adult like so as I said before read the descriptions of the episodes. I believe that these books and series really promote what is important about life which is people and demonstrating true friendship and values. I hope you enjoy my suggestions and leave your feedback below, or give some more suggestions of things that you think promote and inspire simple living, and a happy life for children and young adults.